Thinking is the process of asking and answering questions within. Your thoughts drives your mind and your mindset determines your state of mind, your thinking (imagining) determines your destiny. So it means friends, you have to think about, what you are thinking about, because thoughts (images) are things. A thought (Image) is alive and active. A thought is a substance meaning a thought is a real thing. Thinking (imagining) is the process used in creating your reality, because thoughts (images) are things and Imagination is reality for we are all Imagination. So I ask you now, what are you thinking (Imagining) about NOW? Choose your thoughts (images) wisely, because your mindset (imagination) is the foundation stone that creates your reality or destiny. 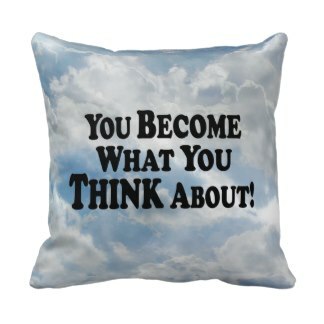 Change your thinking (imagining) NOW! and transform your reality. All you will ever have is now. Now is reality and the future is now. Tomorrow only exists in your imagination. Imagining creates reality. Now is the time to experience your ideal reality in your imagination. Everything exists in your human imagination and Imagination fulfills itself. Imagination is reality and I AM all Imagination imagining my destiny NOW. ← You Are Unique And Original!